If you follow me on Twitter, or Instagram you'll know that I recently flew back to Portugal for a much needed break. Portugal is my go to summer holiday destination, and no where (as of yet) has captured my heart quite like the Algarve has. Last time I visited, which was in September, I briefly mentioned one of my favourite parts of the trip was visiting Vilamoura. Well, I loved it that much, we ended up going back! It's a very popular short break destination as the more slow paced, and luxury atmosphere, makes for the perfect relaxing getaway. 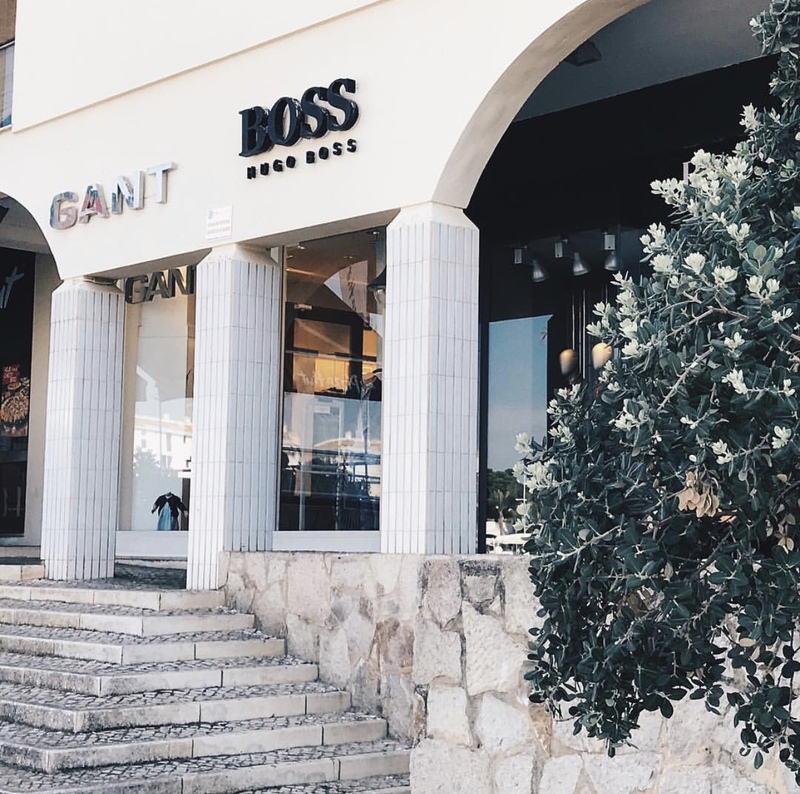 I'd like to think I've 'done it all' in Vilamoura now, so thought I'd put together a little guide for those who may consider visiting for a few nights. 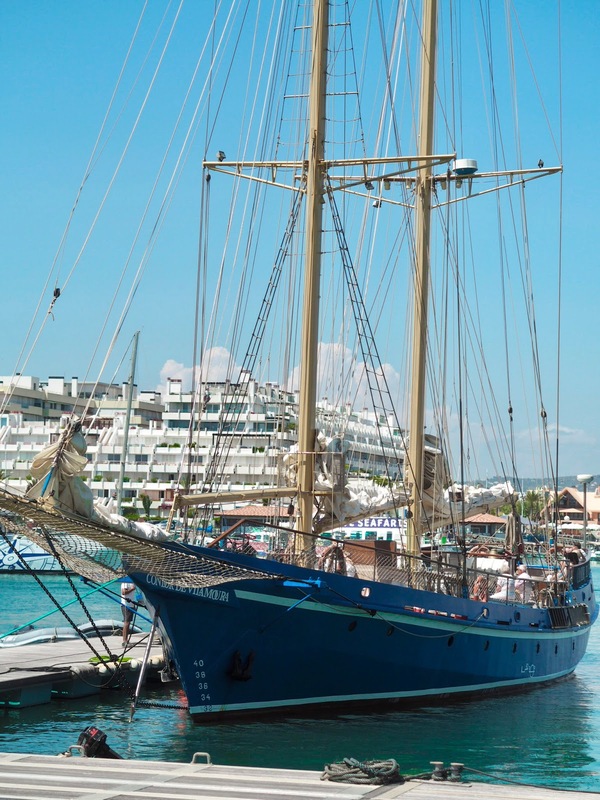 Or, if you're staying in the Algarve, you could head into Vilamoura on a little day trip! There are two main beaches in Vilamoura, with Praia de Vilamoura being the largest, and most popular of the two. Located close to the nearby hotels, bars and restaurants, it's easy to see why this beach can be busy during the summer months. 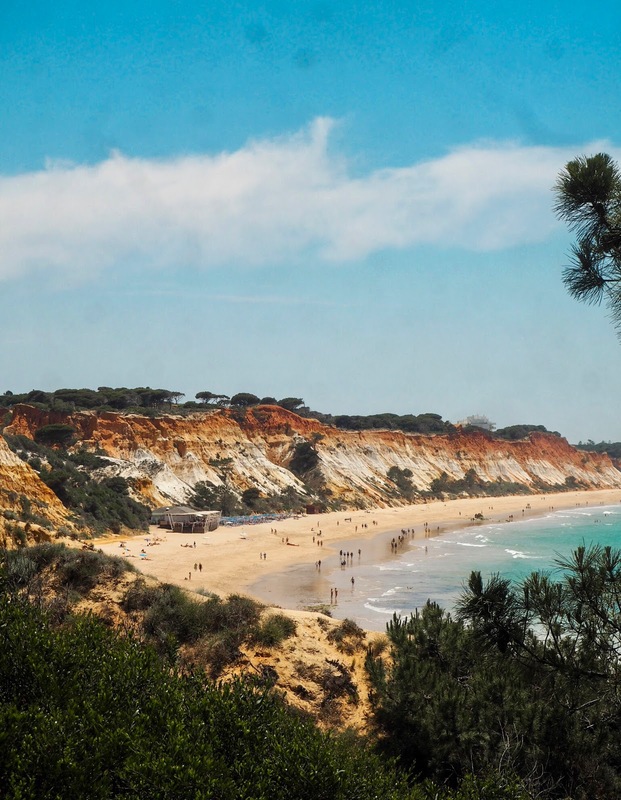 The second beach, Praia de Falesia is famous for it's brick red cliffs and lies between Vilamoura and Albufeira. If you prefer a less touristy, and more relaxed atmosphere, this is the beach for you. Biking is also a very popular activity in Vilamoura, and I can totally see why! Hiring a bike or scooter and taking it out for the day allows you to explore every nook and cranny of the resort. This would be the perfect option for those visiting for a short break or day trip as you see as much of Vilamoura as possible! One of my favourite places to visit in Vilamoura, is the Marina. Filled with luxury yachts and cars, it's the perfect place to experience the luxury side to Vilamoura. The Marina is surrounded by various cocktail bars, restaurants and dessert stalls, most of which directly overlook the marina. Seriously, there's nothing more relaxing than sitting in the sun, overlooking the yachts, cocktail in hand and tucking into a big bowl of seafood pasta! 4. Visit the Local Shops, Including Ronaldo's! The marina also hosts a variety of different shops from luxury stores such as Boss, to more independent or 'typical tourist' shops. You'll also find Cristiano Ronaldo's CR7 shop on the Marina front! Leading out of the marina, you can also find a selection of other shops and cafes. If there's one thing that is very well loved in Vilamoura, it's Golf. It's actually one of the most popular golfing holiday destinations in Portugal. Personally, I'm not a fan, but if you are, you can enjoy the five courses Vilamoura has to offer! Why not head of to the Casino for a night of glamour, fun and dinner, before trying your luck at the tables? Located in Quateira, which is the coastal suburb of Vilamoura, the Casino has plenty to offer for a fun night out! So, you've enjoyed a day of relaxing or exploring, now it's time to throw on your favourite dress, and see what the nightlife has to offer! The great thing about Vilamoura nightlife, is there is something for every crowd from couples to the elderly. One of the most popular options with the tourists, is heading to the local bars and restaurants which you will often catch a variety of live music performances. You can also find a selection of nightclubs in the area. And in the summer months, you can party of the beach so you can enjoy a drink, have a dance and feel the sea breeze at night! Have you ever visited Vilamoura? What would be your favourite thing to do? Wow, I'm not surprised that you've fallen in love with Vilamoura! I went to Portugal last year and absolutely loved it, the landscape is just beautiful and there's so much to see and do! The marina looks stunning, you bet I'd be there for cocktails every day hehe! I've never tried golf but as it's clearly so popular in Vilamoura, I'd definitely give it a go! Thanks for sharing your favourite destination with us! I've never been to Portugal but these photos are desperately making me want to go. Your photos are absolutely stunning. I think the thing at the top of my list here would be to get seafood at the Marina! 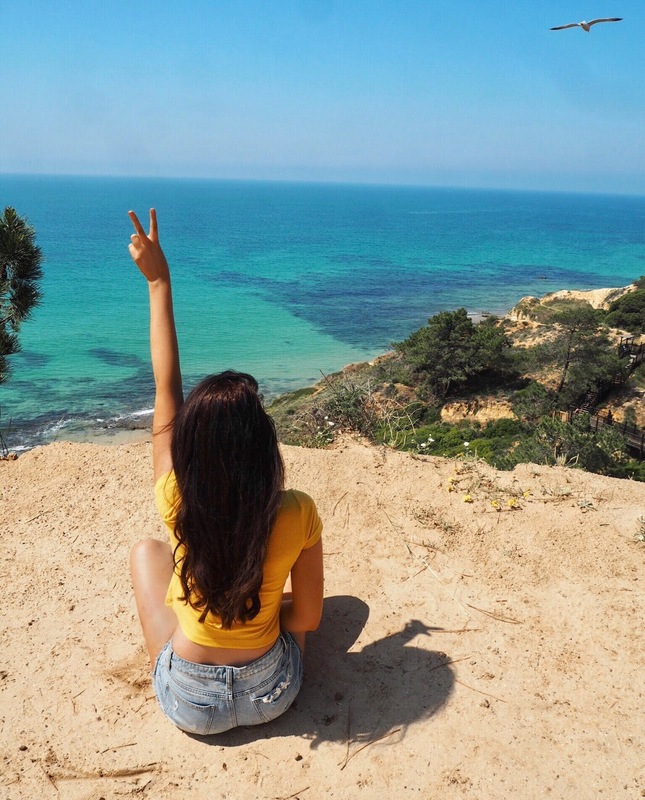 Vilamoura looks beautiful, great tips and photos :) I have recently been to Lisbon and Porto but haven't yet made it to the Algarve. Ooo, this place sounds amazing and looks beautiful! I'd love to hire a bike and go around and see all the different places. Sounds like such a great idea. Love your pictures - they're great. Thanks for sharing! Love that you made the most out of Vilamoura! The beach looks GORGEOUS! I'd appreciate the beach vibes here with the amazing atmosphere. Oooh~ There's nothing better than fresh seafood. Glad you enjoyed your time out there! I haven't been to Vilamoura before but it's a place I'd definitely go! I’ve visited a few times and it’s a beautiful place. I’m due s trip back. It looks amazing! Will definitely keep this in mind for the future! That beach looks amazing. I've never been to Portugal but youve made me want a holiday here asap. I really enjoy spending time in Portugal. The golf courses in this place are up there with the best of them!